”What is drawing?” Contemporary Swedish drawers at Sigtuna Culture Yard. Drawing has for some time been a part of the established art scene, after being a quite marginalized art form. The exhibition ”What is drawing?” On Sigtuna Culture Yard investigates Swedish drawing and illustration as a contemporary art form. Participants will be some of Sweden’s top young contemporary artists and illustrators. The initiative for the exhibition comes from Cecilia Levy, Anna Hedberg and Mattias Adolfsson, all illustrators, graphic designers and artists active in the Association Sigtuna Culture Yard. – We want to show contemporary drawing and learn more about young Swedish artists and their work. 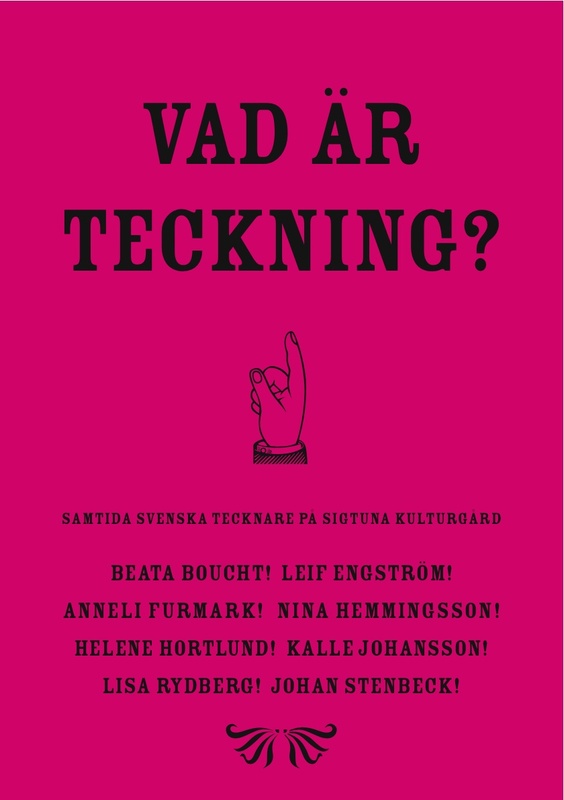 We thought about whom we wanted to participate and almost all resquested said yes, Anna Hedberg.